The ultimate guide to Saariselka ski holidays. 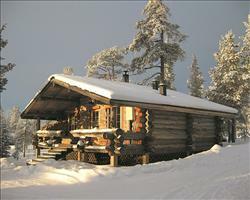 As well as being a popular place for panning, Saariselkä is a ‘goldmine’ of winter wonderland activities. With a stunning national park on your doorstep, you can explore the snowy surroundings on foot, skis, snowmobile or even reindeer before coming home to your cosy cabin or hotel. 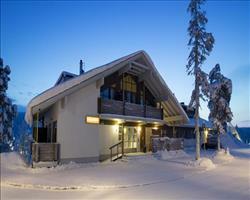 Europe’s northernmost ski resort, Saariselkä is 250km up from the Arctic Circle, not far from the Russian border. 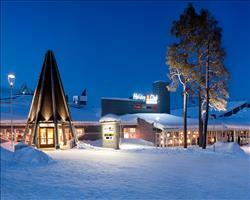 One of the main resorts in Lapland – the legendary home of Father Christmas – it has snow sure skiing, a Christmas-card-esque village and heaps of festive activities all in one place. The village itself is surrounded by forest and full of winter wonderland charm, with its own little chapel, some shops and restaurants and accommodation ranging from spa hotels to traditional log cabins. Everything is pretty close-knit and it’s usually only ever a short walk from A to B. Surrounded by wilderness, this is one of those places where you feel like you’re a world away from the rest of civilisation and can get really close up and personal with nature. Right next door, the stunning Urho Kekkonen National Park is one of Finland’s largest protected areas. There’s lots to do here, from experiencing natural beauty at Kakslauttanen’s Igloo village or spending some time indoors at the - less traditional but kids love it - Angry Birds activity park. Famous for its gold rushes (you can try your own luck at gold digging here) it also has a thriving Sami community and the Sami Museum is well worth a visit. The two fells that make up the ski area are 1km away. You have to take a ski bus to the slopes but it only takes about five minutes and the service is usually pretty sharp. In terms of getting here in the first place, the closest airport, Ivalo, is only a 20 - 30 minute drive away and a bus service for the last leg of the journey is fairly frequent. 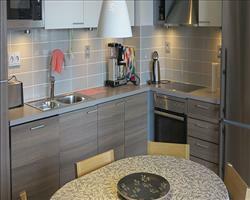 You can also train it to Rovaniemi and then take a bus to the resort. View our detailed Saariselka snow forecast or snow report and see all live webcams, piste maps, road and travel maps and lift pass prices. For a picture of historic snow conditions see the snow depths month by month with our Saariselka snow history. Spread across the Iisakkipää and Kaunispää fells, the ski area is modestly-sized, with 5 ski lifts taking you up to 15 slopes. The bus is quite regular and does drop offs at the top of the slopes and the base. From the base, one chairlift takes you to the top of Kaunispää (the rest of the lifts are T bars). All pistes take you back to the same part of the valley, where you’ll find campfires and cafés to warm up and rebuild your energy stores. This isn’t a challenging ski area and the slopes would best match a beginner or just-turned intermediate. The ski school has a bunch of English speaking instructors that will show you the ropes (and slopes) in skiing, snowboarding, cross country, telemarking and even snowkiting, so those who have already conquered Alpine skiing can have a go at something new. The Pollo and longer Naakka on Iisakkipää are two of the easiest greens and Huuhkaja on Kaunispää is a good one to progress onto. Iisakkipää has two blue runs to progress onto; the short Haukka and longer Metso. Kaunispää has a couple of pistes that follow the pattern of starting off more gently and gradually getting a little steeper. Pulmunen is a blue running into a red and Varpunen is a long red that leads into a black over 1050m. The most difficult run is the black Lunni, off-pisters might catch a little bit of powder between the runs too. The freestyle park stretches down a 1200m street on the Riekko slope of the Kaunispää and the children’s park is helpfully located next to the ski bar where grown-ups can sit back with a Finnish gluggi while the kids play.Cross-country trails cover a whopping 220km and being national park territory; you’ll be utterly wrapped up in the views. At the end of the day, go for the old school approach to get down a mountain and grab a toboggan for the Alli slope; made all the more exciting by the fact that it’s the oldest in Europe. With only 15 slopes, this isn’t meant to be a resort where the sole focus is skiing and there are tonnes of other activities to fill up the week. 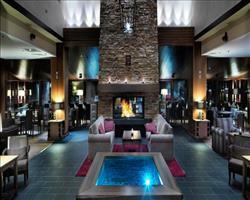 In the resort, you can wind-down at the spa, keep the kids occupied at the Angry Birds activity park or try something new at the curling centre. When it comes to having a warming tipple or two, Laaihovi usually holds an after party between 2pm and 5pm. They get local bands to play live music and you’ll get to have a go at ski shoe dancing... They also have a restaurant with big windows to see the Northern Lights. You’ve got the Husky bar and Lutto pub for a chilled beer and rock music (for karaoke on Sunday and Tuesday you might need another beer...). 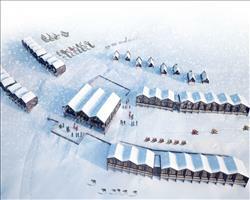 Kieppi also has live music and for a culture lesson, there’s a Sami evening once a week. Reindeer dishes, the native Cloudberry and the River Tenojoki salmon are all must-try Finnish flavours here. Restaurant Petronella was made with high class dining in mind and the Café/Restaurant at the top to the Kaunispää chair is great for a panoramic view. If you prefer to cook for yourself, the Kuukeli supermarket has a good supply of the necessities and then some. When is the best time to ski Saariselka? The season usually runs from November to May with temperatures going from – 20OC/30OC to just below freezing, so lots of warm clothing, lip balm and hand warmers is an absolute must! Thermal wear can be hired out to make things easy and the locals do a fantastic job of warming up the restaurants and bars. The chilly weather does paint a positive picture for the snow conditions and the area is known to have excellent ski conditions all season long. In the mega European resorts, queuing for the lifts can take up a chunk of your week, but this is rarely an issue in a place where there are more reindeer than people, especially where there’s so much focus on activities off the slopes. If you’re coming for the Northern lights, anytime between November through to April is supposed to be the best time to see them. 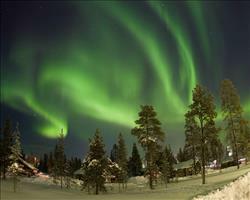 Saariselka is a magical resort for a family as it’s a world away from anything children might have experienced before. The ski area is contained over two neighbouring fells, making it easy for you to drop them at ski school and pick them up later. Thanks to the slopes being mostly wide and gentle, there’s some lovely skiing to enjoy as a family once ski school is out - make sure you do the toboggan run on the Kaunispää fell before you get the bus back to the resort, which is 1km from the skiing. If you’re with the little ones who aren’t old enough to ski, babysitting services are usually available so the rest of the clan can head off to the slopes. You’ll find that you’ll probably spend as much time on the slopes as off what with the activities on offer... Husky rides are a hugely popular and a reindeer safari will bring a festive feel to your holiday. If you need to escape the outdoors, the Angry Birds Activity Park is a super option (see if under 4’s can still go free). 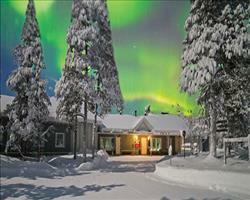 For the icing on the cake, Santa’s resort is only 15 mins away in Kakslauttanen. Temperatures can drop to around minus 15-20˚C in the colder months and barely creep above freezing over the season, so stocking up on good thermals and taking regular hot chocolate breaks are really important when you have little ones. Ask us about snowsuit hire so you don’t have to fork out for your own gear, these warm suits can be a godsend when it comes to keeping the kids warm and happy! 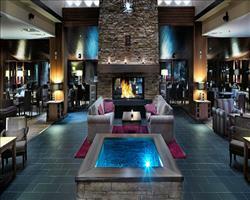 Saariselka is great for groups looking to spend equal time on and off the slopes. If you’re all a bunch of beginners or have been skiing once or twice, you’ll love the introductory greens and blues across the two fells. The ski area is 1km away from the resort and accessible by bus - or if you’re feeling fresh you could walk it... (pick up some tasty provisions from the Kuukeli supermarket before you set off). After dedicating a few hours to the skis, turn your attentions to the rest the resort has to offer: Tobogganing on the Alli slope, which takes up 1200m of the Kaunispää fell is a fun way to end a group ski session while husky, reindeer and snowmobile safaris are ideal for those who love a bit of a thrill and a view to boot. Snowshoeing can be a super way to experience the landscape – don’t forget you’re right next to a nature park here! For something a bit different, go ice fishing or stay inside to try your hand at curling or soak up some culture at the Sami museum. This isn’t a party resort and part of its appeal is its tranquillity. However, the Laaihovi ‘Ski Shoe Dancing’ after party from 14:00 – 17:00 is an infamous event and will have you dancing along to local bands - pop along to its swish restaurant afterwards. The Lutto pub and Husky bar are great place for a drink and Restaurant Petronella might interest those famished after a day full of adventure. Make sure to look out for the northern lights while you’re out here – an awesome experience to share with your nearest and dearest.